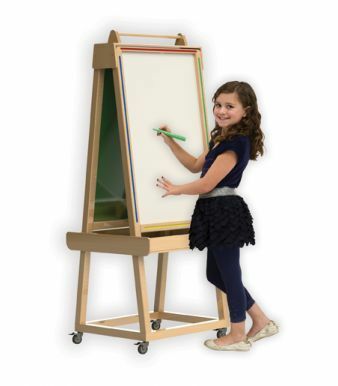 Double-sided wooden whiteboard featuring a magnetic dry-wipe surface on one side and a chalkboard on the other. Includes a large storage area for pens/chalks and other accessories. Durable and stylish solid beech construction.